Variability is the only guarantee when it comes to the rainfall of the Sahel, the transitional zone between the parched Sahara Desert and the wetter savanna in the south. The rains often arrive late, and sometimes they barely come at all. This can lead to devastating crop failures and famine in a region that relies heavily on the rain to grow most of its food. Over the centuries, farmers across the Sahel have adapted to the fickle rainfall by growing crops such as millet, sorghum, peanut, and cowpea, which are well suited to produce grain even during periods of drought stress. 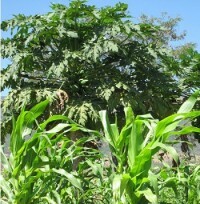 Sometimes, however, the crops’ adaptation is not enough to protect them from extended droughts, and grain yields plummet due to lack of water. To confound the already dire problem, the population of the Sahel is growing and crop yields are not increasing in step. 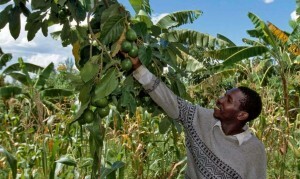 In these nutrient-poor soils with low fertilizer input, the land is in desperate need of agriculture systems that can provide adequate yields and soil conservation with minimal inputs. 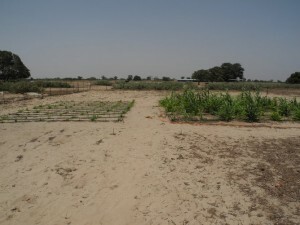 This research on soil hydrology in the Sahel is part of a larger project investigating how traditional techniques practiced by some farmers can be adapted to further increase crop yields, even during times of drought stress. 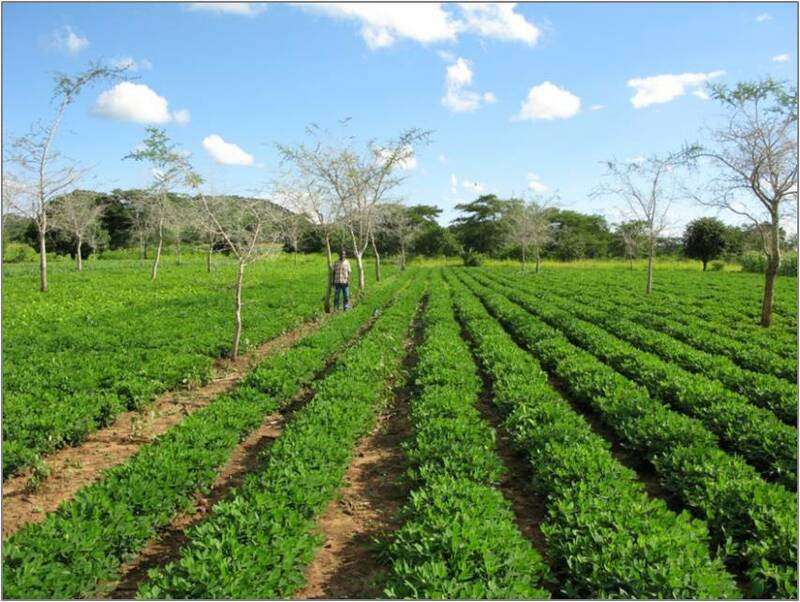 We found that planting food crops together with the native woody shrub Guiera senegalensis can improve crop growth with minimal costs. It’s a simple method that can be used not only in the Sahel but may be applicable in many other areas that are periodically inhospitable to agriculture.